On this 15th week of our CSA season, because our weather has been cooler than usual, we are still enjoying late spring veggies. We’ll be getting the first of the green beans (we hope, as broccoli was substituted last week! 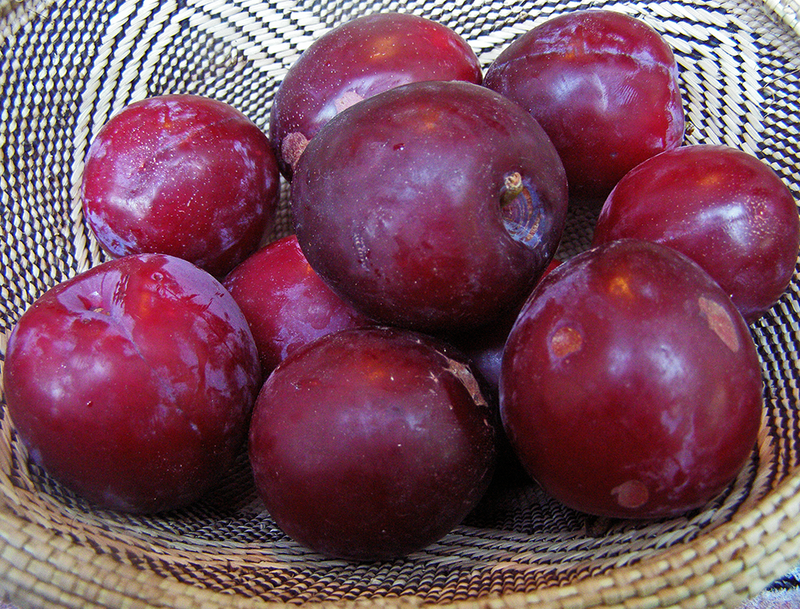 ), my husband’s favorite. Looks like the first of the young collard green too, and I serve them with Asian-style ginger sauce. Like last week, we will make a delicious non-dairy potato-leek soup that uses just the tiniest bit of butter and garlic, and hopefully perfect the recipe enough to post. 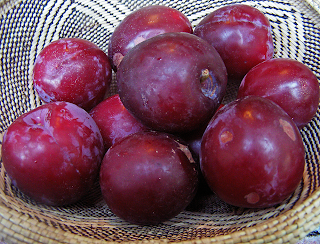 The Santa Rosa plums are delicious this year, and I look forward to more this week. I took a jam-making class last week (apricots & strawberries) & am now wondering about making golden raspberry jam, plums in honey sauce, red raspberries preserved in raspberry wine, etc. Fennel, cilantro, and basil can all add flavor to something…but what? Simply steam: green beans, summer squash, maybe with basil? Braised fennel with tomato, or?